This week on Talent Tuesday, we present Ajouka Jeyakumar. She is a medical student from Brampton who had gone to Nepal a week prior to the earthquake as a medical volunteer. Since the earthquake, she has remained at the core of the event and is contributing in anyway that she can to assist those who have suffered. 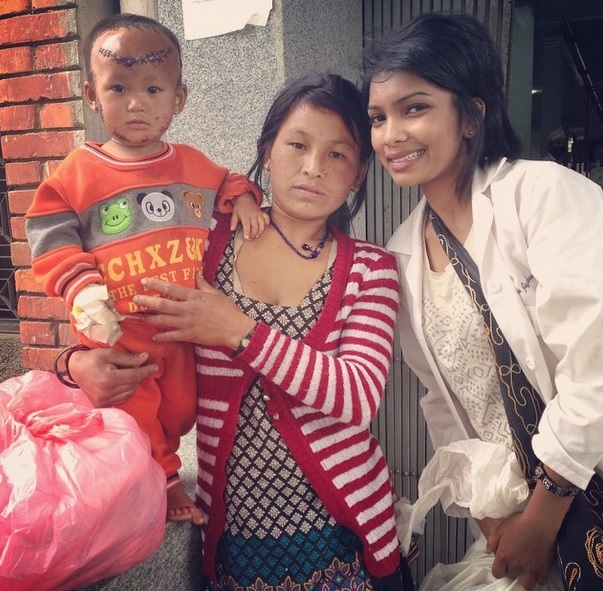 Her sister Sajeeka, a medical graduate, has set up LOVE NEPAL 2015 – a charity fund with a 100% aim to help with medical assistance for Nepal earthquake survivors and help rebuild the community. All proceeds are going towards their goal to bring Nepal back to its feet. It is inspiring to see a Tamil youth using her talents to help those in need on an international level. 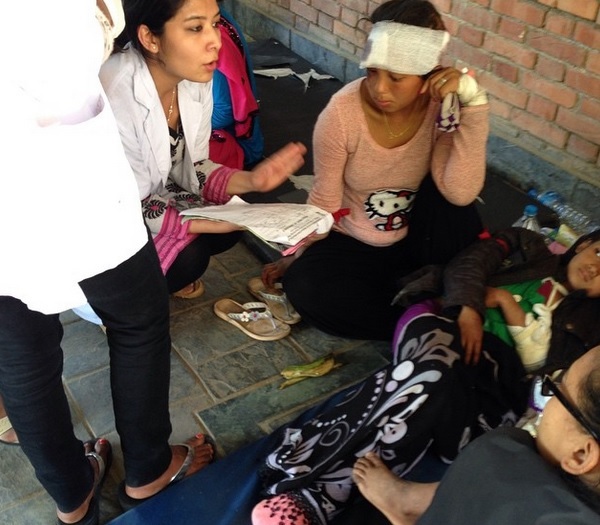 If you would like to contribute to her team, please see www.gofundme.com/lovefornepal2015. 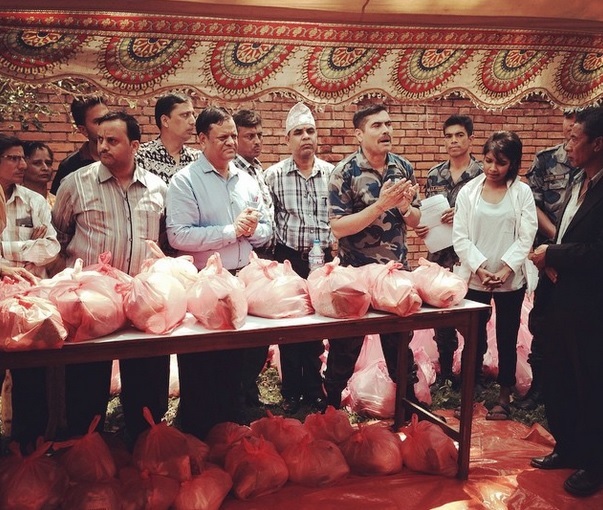 For more updates, please follow Love for Nepal! 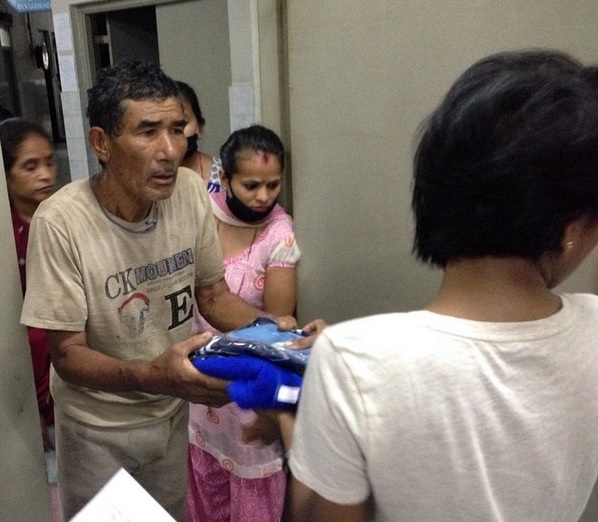 Ajouka providing clothes, undergarments, slippers and toiletries to each Nepali victim at the College of Medical Sciences Hospital in Chitwan made possible through donations. 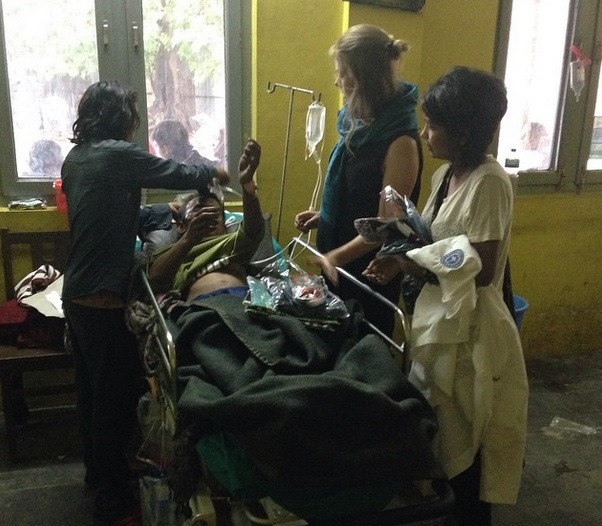 Ajouka finds that there are more than enough medical personnel at the College of Medical Sciences Hospital in Chitwan but not enough resources. Ajouka on site to help treat victims. 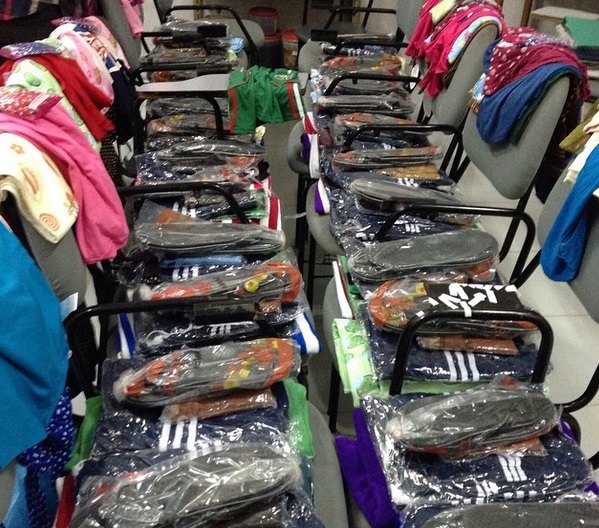 Their fund has raised over $1600 in 1 day, some of which was used to provide toiletries, shirts, shorts, towels, undergarments and slippers for 42 Nepali victims. This entry was posted on Tuesday, April 28th, 2015 at 1:47 pm	and is filed under Cafe, News. You can follow any responses to this entry through the RSS 2.0 feed. You can leave a response, or trackback from your own site.